OXFORD, Miss. – The Gertrude C. Ford Center for the Performing Arts is hosting a series of community events, including a holiday concert, storytime readings featuring special guests Mary Haskell and Patty Lewis, and a special visit from Santa Claus through Dec. 13 to celebrate the holidays. 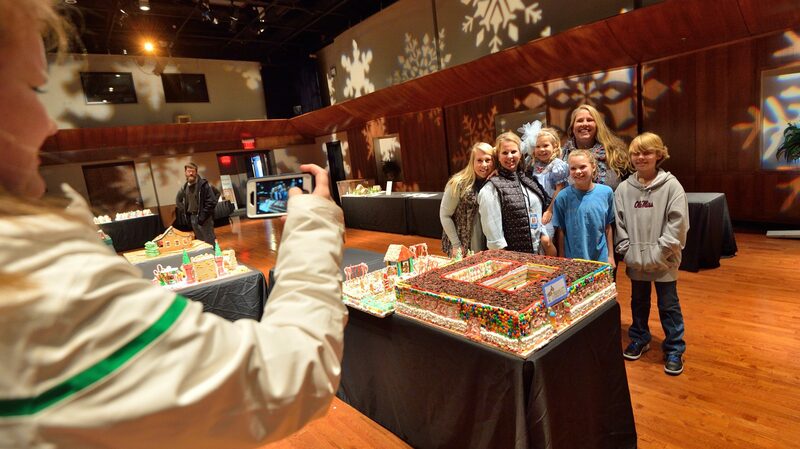 Each year the Ford Center creates a holiday gingerbread village, and this year’s collection is the ninth annual gingerbread house display. This year’s village features some 32 gingerbread structures, including houses made by Oxford High School students with a 3D printer. The holiday village opened just before the annual holiday concert on Dec. 1. It is free and open to the public, but since the village supports local food banks, visitors are encouraged to bring food items to donate. Kate Meacham, Ford Center marketing director, said she looks forward to the holiday season each year because the events help give back to the community. 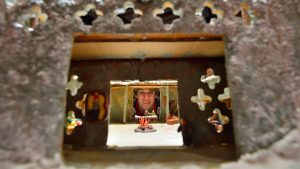 The holiday village is one of Meacham’s favorite traditions at the Ford Center, and she said it would not be possible without the help of the Oxford-Lafayette Countycommunity. UM alumna Haskell, a successful actress and singer and Miss Mississippi 1977, will read stories to preschoolers and toddlers at the Ford Center’s gingerbread village at 10:30 a.m. Thursday (Dec. 6). The event is free and open to the public. Santa visits the holiday village from 1 to 4 p.m. Saturday (Dec. 8). The event is free, and attendees are advised to bring their own cameras. The Oxford Civic Chorus will perform holiday songs and carols in the Ford Center lobby from 1 to 2 p.m.
Lewis, also a UM alumna, member of the Ford Center advisory board and a member of the Ole Miss Women’s Council for Philanthropy, will read to elementary school children in the holiday village at 3:30 p.m. Dec. 13. The event is free. For more information on the Ford Center’s series of holiday events, visit http://fordcenter.org/.